At the end of November, Amsterdam will host a conference dedicated to the advanced tool of investing in startups – Initial Coin Offering. 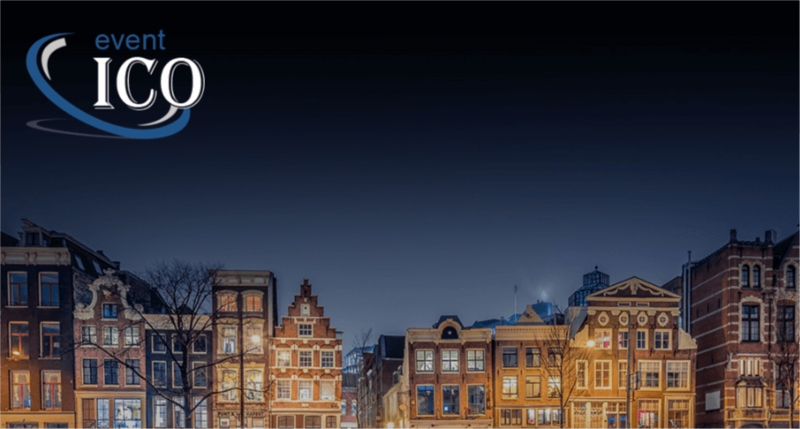 The event, called ICO Event Amsterdam, will gather about 300 participants: investors, lawyers , and developers of blockchain projects, who managed to attract million investments due to the public placement of tokens. According to organizers, the event company Smile-Expo, the conference will be useful both for young companies searching for financing, and investors looking for a way to invest money. The event will be also interesting for specialists from different sectors, whose fields of competence include ICO and cryptocurrency. Speakers of the conference are experts on cryptocurrency, blockchain and global investments. They will make reports addressed to both investors and startups planning to issue their own tokens. ICO boom in the context of the international economy. Comparison of ICO and traditional investments: advantages, disadvantages, specificity of regulation. Challenges and positive effects of the ICO era. Legal regulation of ICO in the Netherlands, Europe and the world. Practical examples for potential investors. What should be taken into account when choosing a project for investments? Sally Eaves, CTO, Professor of FinTech, Strategic Advisor on Global Issues, speaker and author; founder of Aspirational Futures, project manager at STEM and charitable mentor. She will tell the audience about ICO in a global context: how economic realities are changed and what will happen in the investment sector in a few years. This information is useful for those building business strategy of the company. Esteban van Goor, advisor on venture capital and ICO, will review the real prospects of ICO on the Amsterdam investment market. He will also analyze practical cases on the legal support of ICO from the moment of the project launch. The conference will also feature reports of Jonathan Chester, founder of Bitwage Bitcoin payment service, and David Siegel, blockchain expert and consultant. Smile-Expo reports that the pool of speakers is constantly updating, and many other names respected in the crypto community will appear in the program soon. An important part of the event is exhibition area. Two dozen companies will present their developments: blockchain-based programs and applications, created for various business areas. The conference will also include a pitch-session: representatives of startups (exhibitors) will present their presentation to investors. Amsterdam is chosen as the venue for the conference, since it has formed a community of businesspeople and investors interested in cryptocurrency and ICO. This issues are largely promoted by the country’s policy: the government plans to introduce blockchain into the financial system and declares the creation of the National Blockchain Coalition. The conference will be held at the Postillion Convention Center Amsterdam (Paul van Vlissingenstraat 8, 1096 BK, Amsterdam, Nederland). In 2017, Smile-Expo holds a series of three ICO Events. The previous event took place in London on October 11. The conference was attended by about 250 people; the audience listened to 15 speakers. According to the participants’ feedback, the event was informative and facilitated productive business communication. The program and registration is available on the ICO event Amsterdam website.